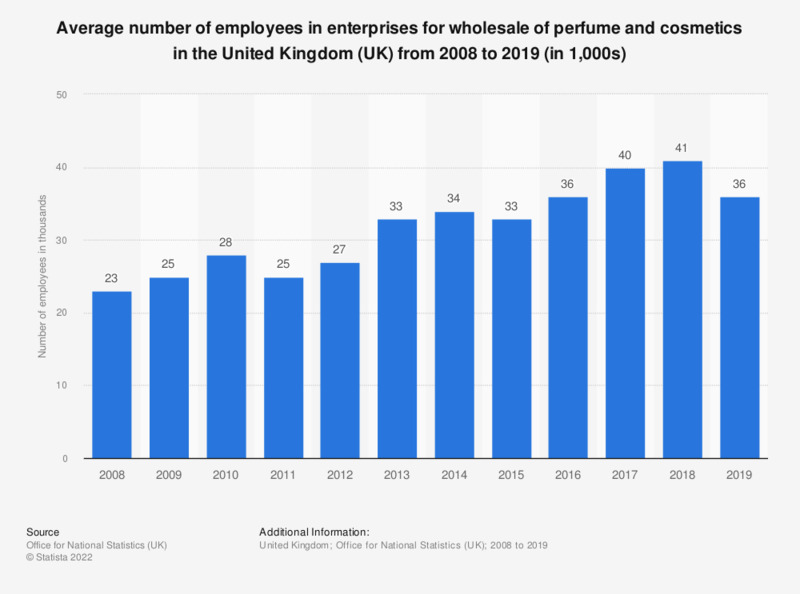 This statistic shows the total employment average in enterprises for the wholesale of perfume and cosmetics in the United Kingdom (UK) from 2008 to 2016. During 2016, an average of 34 thousand people were employed by perfume and cosmetics wholesalers in the UK. Total employment average during the year. Data derived from the Business Register and Employment Survey (BRES), produced by the same source (ONS). The source warns against combining this data with other financial data from the Annual Business Survey (ABS) due to differing methodologies.